The art of roller setting did not come natural to me. It took both practice and patience to get it right. My first attempts at roller setting were messy and my hair always came out frizzy. I would just place the rollers haphazardly without direction. But, now I rely upon roller setting and hardly if ever thermally straighten my hair. Roller setting with the right technique can produce smooth, straight results or soft cascading curls. Also, if you roller set your hair at home instead of going to the salon bi-weekly, than you will save your self about $1,000 a year. First, shampoo your hair. Make sure to cleanse the scalp completely. If you have a lot of build up you may need to use a clarifying shampoo to ensure that your hair and scalp are fully clean. Second, condition your hair. If your hair is in good condition, then you may want to comb through and rinse the conditioner out after applying it throughout your hair. This may also be the best time to do a deep conditioning moisturizing or protein treatment to your hair if further conditioning is needed. Third, once you rinse the conditioner out your hair, then you will be ready to roller set your hair. I apply leave-in conditioner (use a spray if the hair is deep conditioned or a cream if the hair just received a conditioner rinse); setting spray (to keep the hair wet and malleable), and then a serum (or a light oil if I didn’t deep condition) throughout my hair (this will prevent frizz). Now it is time to roll the hair, and this may prove to be the most challenging aspect of the styling process. It’s all about smoothing the hair out and roller placement: They rolled the hair in what I would like to describe as a Mohawk. One row of rollers starting at the front of the head and then ending with the nape of the neck. Use metal clips to secure the rollers in place. The curls come out much smoother that way. Also, I like to roll my hair upwards like a flip so that the roots stay smooth. Once you part the Mohawk, that leaves both sides of the hair free. In past attempts I would roll the hair closest to my face first, and then struggle with rolling my hair closest to my ears. I got the bright idea to pin up the hair closest to my face first and then roll the hair behind my ears. My hair came out so much better. The parts were neater and the hair was smoother. Then I rolled the hair closest to my face. Also, when I roll my hair upwards I start with the bottom of the hair part, roll, and then work upwards. Use a rattail comb to smooth the hair and to part neat sections before rolling the hair. Smooth the ends of your hair well since this is what keeps your hair from being frizzy. Roll the hair while keeping it taught and then secure with two metal clips at the top of the roller if you rolled upward, and at the bottom of the roller if you rolled downward. Secure all of your rollers with a mesh cap and then sit under a hard bonnet dryer until your hair is fully dry, If your hair is not fully dry, then it will turn out frizzy. Hint: keep the width of the sections of hair that you are rolling slightly more narrow than the roller that you are using. 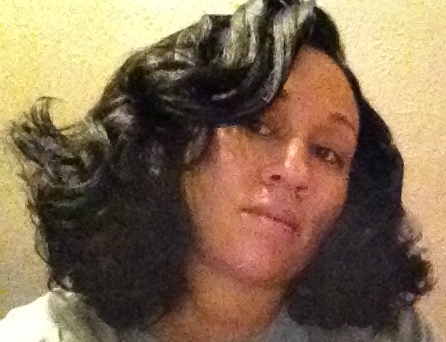 When I first began setting my hair one of the mistakes that I often made was putting too much hair on the roller. Take thin sections about a half of an inch thick and about two inches wide. The results are stunning and it will look salon worthy. 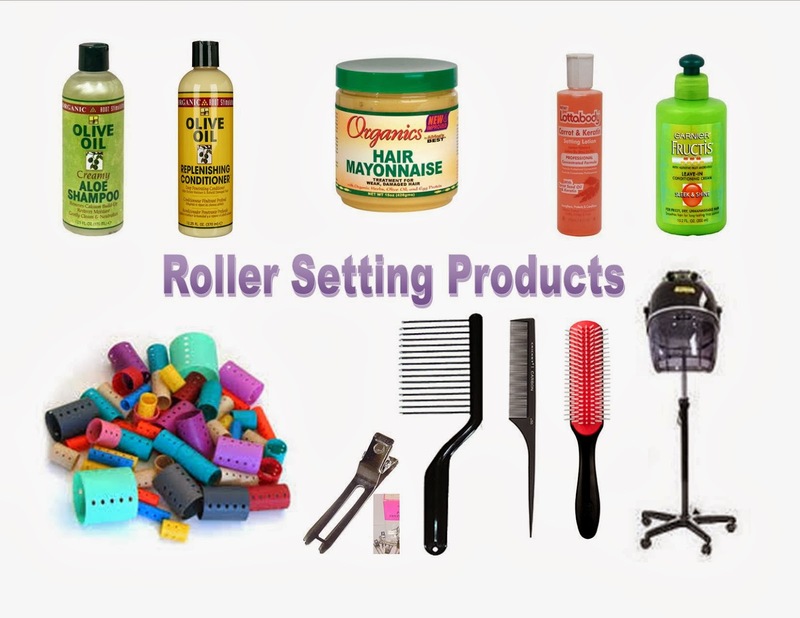 I love roller setting…the best part about it is that you can do it all by yourself!